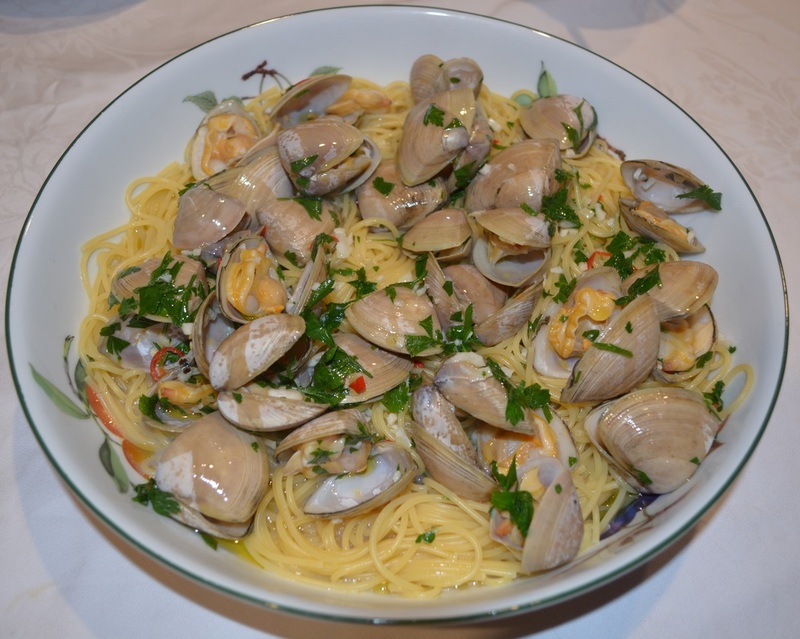 I love clams and I love pasta, so this dish was always going to be something I love. 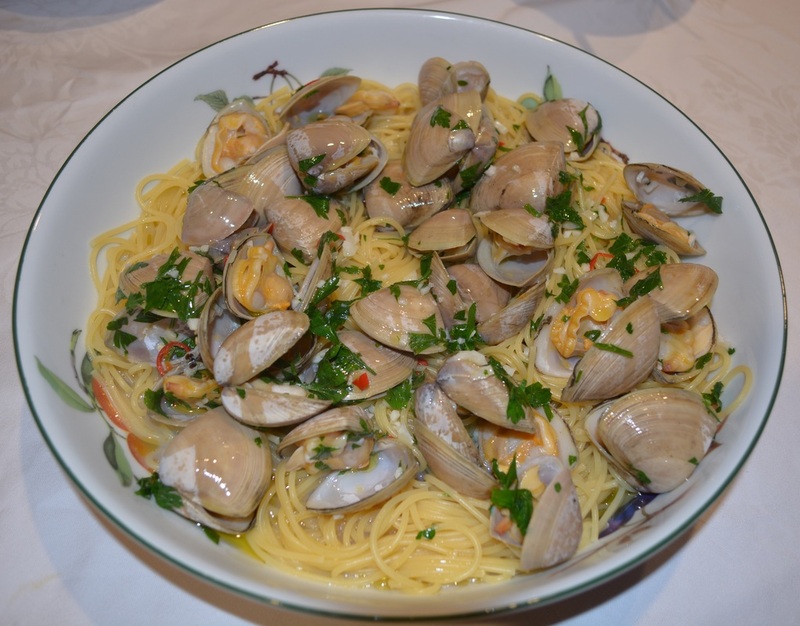 I make another version of Spaghetti with Clams that is tomato based that I have been making for years. It has a completely different flavour to this one, my husband actually prefers the tomato based one. I love the tomato based one also, very much, but I love this one to. I love the taste of pasta, I love the taste of clams. So in this recipe the simple flavours of pasta and clams shine. My kids love both dishes also. The clams should be fresh and alive, they should be closed when you buy them. Open ones are generally dead. So if you are looking for a simple dinner, that tastes lovely, try this, I loved every bite. To clean clams I fill up my sink with cold water, place the clams in the water, leave them for a minute or two, then gently shake them about, lift the clams out and place them in a strainer, get rid of the water, and repeat until the water is clean of sand. Sometimes it will only take one or two washes, sometimes ten, depends on how much sand is in the clams. Place a large pot of water to the boil, add salt. Once the water is boiling add the pasta and cook as per packet instructions. Once you have put the pasta in to cook, start your sauce. Heat the oil in a large saucepan (that has a lid), add the garlic and cook gently for 30-60 seconds or until it is becoming fragrant and just starts to colour (don't let the garlic burn). Add the chilli and clams and cook for 30 seconds. Add the wine and cover the saucepan with the lid. The clams will now steam open, I shake the saucepan about every now and then, this should take 1-2 minutes. Taste for seasoning, you probably won't need to add salt, but I do like to add pepper. Drizzle the clams with the extra oil and sprinkle with the parsley. Pour the clam sauce over the pasta, serve immediately.